I recently installed PHPlist and I like it so far. I would really appreciate any input because I'm still not 100% it's setup correctly regarding SPF/DKIM/email accounts/etc. Please let me know if I left anything out. 2. 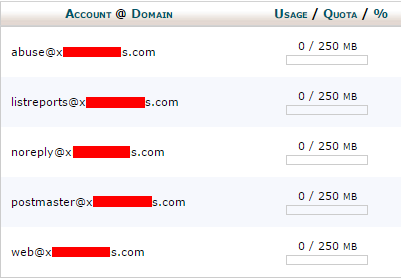 "One or more addresses referenced by MX records do not have a matching reverse DNS entry." 3. "Malformed greeting or no A records found matching banner text for following servers, and banner is not an address literal." 4. "Mailserver rejected mail to address literals." Note: All of my test emails without HTML to my personal Gmail account are marked as spam. Thanks a lot guys, and sorry for the long post! Check out the FAQ mini-tutorial on SPF/DKIM here. Also the FAQ on how to use config-extended.php. Dragonrider wrote: Check out the FAQ mini-tutorial on SPF/DKIM here. Thanks for the reply! I was following the DKIM instructions but I completely passed by the note about replacing the config.php. I will redo this when I get on main PC tomorrow morning and let you know how it goes.